Classroom Jobs Magnetic Time Organizers. 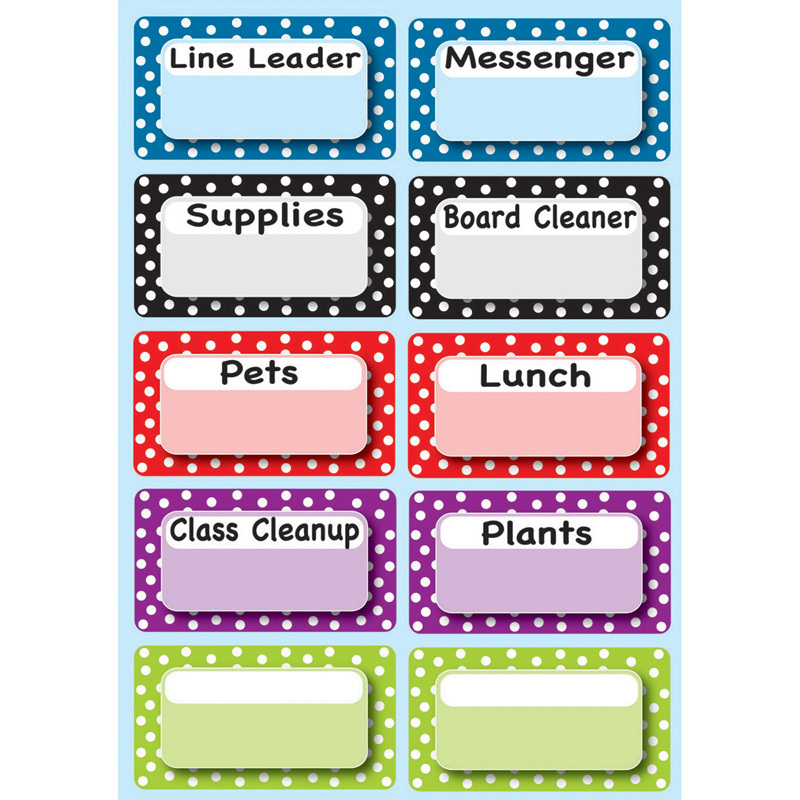 This write-on/wipe off helps you designate and keep track of classroom jobs with ease. Assorted Dots design that is 10 total pcs.